After a long day at the office, you decide to unwind over a few drinks with colleagues at a nearby restaurant. Someone mentions the coworker who sits at the desk next to yours and you launch into a lively imitation of his particular manner of speaking, including his fondness for business jargon and propensity toward wild gesticulation. As soon as you finish, you look over and notice that this coworker is now standing over at the bar. What do you do? For many of us, the answer boils down to one critical question: Is your imitation common knowledge? You know that you were making fun of your coworker, but does he know? Even more important, does he know that you know that he probably saw you do it? If not, you could both pretend that he never heard you. Establishing what everyone knows will guide the events that unfold in this situation and many others like it. Social phenomena, including fashion trends, stock market crashes, and public protests, all depend on the assumption that a particular thing is common knowledge. And yet, argues APS William James Fellow Steven A. Pinker (Harvard University), psychological scientists haven’t spent much time investigating common knowledge relative to other social phenomena. In his award address at the 2016 APS Annual Convention in Chicago, Pinker took the audience on a tour through recent work exploring the mechanics of this specific type of knowledge and its centrality to everyday life. Does He Know That I Know? The first distinction that we must make, says Pinker, is in grasping the difference between shared knowledge and common knowledge. With shared knowledge, you know that your coworker probably heard you, and he knows that you know. With common knowledge, however, you both have an understanding of what the other knows. This common understanding can be spelled out formally in a set of nested propositions (e.g., I know that he knows that I know) or using a recursive formula, but we probably experience it most often as an intuition that the knowledge is “out there.” In the most direct cases, we know something is common knowledge because we can all see that everyone is watching an event transpire. Understanding what other people believe is essential to social coordination, especially when the coordination involves a degree of risk — it’s so essential, Pinker posits, that we’ve become adept at sussing out whether something is shared or common knowledge, even if we can’t articulate it. To gauge just how sensitive we are to people’s differing states of knowledge, Pinker and colleagues asked study participants to engage in a bit of coordinated financial decision-making. They imagined themselves as bakers trying to decide what to bake — they could make dinner rolls and turn a small profit or they could make hot dog buns and turn a larger profit, but only if the butcher makes hot dogs. And the butcher only makes hot dogs if the going price on hot dogs is high enough. Some participants received private knowledge about hot dog prices: A messenger told them, but not the butcher, the day’s hot dog price. Others received shared knowledge: The messenger told them the price and also told the butcher the price, but the butcher didn’t know that the bakers knew the price. Participants in a third group received a different kind of shared knowledge: The messenger told the butcher the price and told the butcher he would also tell the baker, but he did not tell the butcher that he would tell the baker that he had told the butcher (he knows you know the price, but he doesn’t know that you know that he knows). Finally, a fourth group received common knowledge: That day’s hot dog price was heard by all through a public loudspeaker. Given the information they had from the messenger, the participants had to decide: Would they make hot dog buns or not? The results showed that people were very aware, at least intuitively, of the risk–reward calculations inherent in each type of knowledge. participants — about 90% — chose to coordinate when they knew that both they and the butcher possessed the same information about the going price for hot dogs. Based on these findings, it seems likely that people do think about private, shared, and common knowledge as distinct cognitive categories. Establishing common knowledge clearly facilitates social coordination, but there are some times, says Pinker, when we may choose to actively avoid common knowledge to maintain our relationships. As anyone who has ever shared a living space knows, when your roommate says, “If you could wash your dishes after eating dinner, that would be awesome,” he’s not saying that your ability to do dishes would inspire feelings of awe. In reality, he’s asking you to wash your dirty dishes instead of letting them pile up in the sink. If both you and your roommate know what he’s really trying to say, why bother with indirect speech? The answer, Pinker says, is plausible deniability: Speaking indirectly provides verbal cover, allowing us to pretend that we don’t have the same understanding as someone else when we’re not sure how the other person will respond. Imagine you’re a driver, says Pinker, and you’ve been caught speeding. You have two options: You can try to bribe the police officer or remain silent. What do you do? Once again, the answer depends on some risk–reward calculations. The police officer might be dishonest, willing to accept the bribe and set you free; but she might also be honest, in which case you’ve added a bribery charge to your list of offenses. If you remain silent, either type of officer will likely fine you with a moderately costly traffic ticket. Choosing the optimal strategy would require knowing what kind of officer you’re dealing with. Suddenly, the payoff calculus shifts. The dishonest officer could recognize the bribe for what it is and let you go. The honest officer, unable to prove that you attempted to bribe her, would probably just give you a traffic ticket. By using indirect speech, you’ve effectively eliminated the worst possible outcome. These advantages also apply to everyday situations, when it’s unclear whether you and another person have the same understanding of your relationship with each other. Different types of relationships come with their own implicit rules and norms, and behavior that is appropriate in one type of relationship may be completely inappropriate in another type. “When relationships are ambiguous, divergent understanding can be costly, which we experience as awkwardness,” even when there aren’t any tangible fines or punishments, Pinker notes. This kind of misunderstanding plays out before viewers’ eyes in the now-classic romantic comedy When Harry Met Sally. “Harry and Sally have just met, and Harry makes a comment that Sally interprets as sexual, and she confronts him,” says Pinker. Sally: You’re coming on to me! Harry: What do you want me to do about it? I take it back, okay? I take it back. Harry: Oh jeez. What are we supposed to do? Call the cops? It’s already out there! This situation is so awkward, Pinker explains, because what was originally shared knowledge turns into knowledge that is “out there,” and the two cannot keep up the charade that their relationship is simply a friendship. 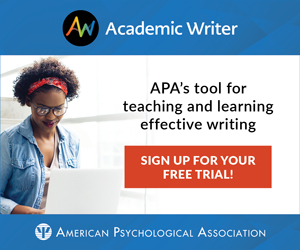 To test the hypothesis that direct speech provides the certainty of common knowledge while indirect speech does not, Pinker and former student James J. Lee, now an assistant professor at the University of Minnesota, devised several fictional scenarios depicting a bribe, a sexual overture, or a threat. Importantly, the scenarios differed in how direct they were. Participants read the scenario and answered a series of questions about what Lisa and Michael were likely to believe about what had just happened. Each question involved an additional embedding of belief (e.g., What is Lisa thinking? What is Michael thinking about what Lisa is thinking?). When Michael’s overture was indirect, Pinker and Lee predicted that participants’ confidence about what each person believed would diminish with each embedding; however, when Michael’s proposition was direct, they predicted that the level of embedding would not affect how confident participants felt about what each character knew. That is, indirect speech would be increasingly difficult to interpret as it was reflected back and forth through the characters’ differing perspectives, but direct speech would always be clear, no matter how many layers of interpretation it lay under. And this is exactly what the researchers found — participants’ certainty ratings fell with each degree of embedding when Michael was indirect, but they remained absolutely certain through all levels of embedding when Michael’s proposition was overt. As Pinker explains, when we use innuendo, we can skirt around common knowledge, allowing a “proposition to be tendered without changing the relationship type.” Speaking directly, however, makes each person’s understanding of the relationship undeniably clear. Innuendo, therefore, is an evasive strategy that helps to preserve a relationship. But how do we deal with the social awkwardness that arises when potentially damaging information suddenly becomes common knowledge? We address the common knowledge, says Pinker, by showing self-conscious emotions like embarrassment, guilt, and shame. By cringing, blushing, and averting our gaze, we signal to another that we understand when we’ve committed a relationship faux pas. Such self-conscious displays help us preserve the relationship by letting the other person know that you know you’ve messed up. In one recently completed study, Kyle A. Thomas, Peter DeScioli, and Pinker tested the theory that self-conscious emotions emerge in response to common knowledge using a time-tested method for making people feel embarrassed: Asking them to sing in front of a group. The researchers asked each participant to perform Adele’s soulful hit “Rolling in the Deep” in front of a panel of judges shown via live video feed. In some cases, the participants thought the judges didn’t know they could be seen, an instance of shared knowledge. In other cases, the participants believed the video feed went both ways and the judges knew they could be seen, an instance of common knowledge. In reality, the video of the judges was prerecorded. As one might expect, participants were noticeably embarrassed when they had to sing for either set of judges — but, in line with the researchers’ predictions, they were much more embarrassed when the whole event was thought to be common knowledge. With all this evidence that common knowledge plays a fundamental role in many of our social interactions, why don’t we talk about it more often? And, like many curiosities of social life, it even makes an appearance in an episode of the TV show Seinfeld. When George announces that he’s said “I love you” to a woman, Jerry asks whether she returned the sentiment. “Because if you don’t get that return, that’s a pretty big matzo ball hanging out there,” Jerry muses. 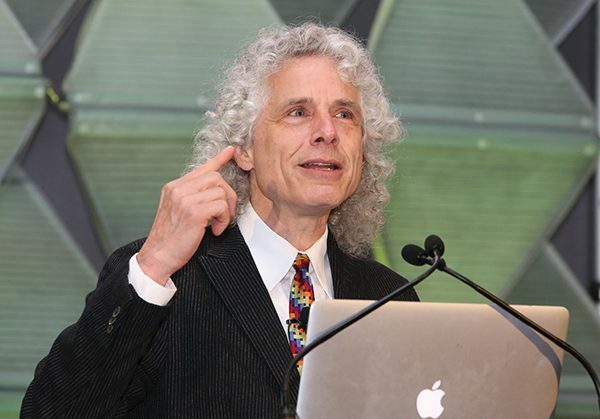 Although we might go cross-eyed trying to keep track of increasingly nested states of knowledge, “everyone has a perfectly intuitive understanding of the emperor, the elephant, and the matzo ball,” Pinker concludes.